Far southwest of the center of Havana, on a former golf course on Calle 120 in Cubanacán, lies Cuba’s combination of New England Conservatory, Emerson, Boston Conservatory, and Mass Arts. Founded in the 1960s, the modern campus of the National Arts School (commonly called ISA, or the Instituto Superior de Arte) was one of the first big architectural commissions of the Revolution. The origin story of ISA, founded after Che Guevara and Fidel Castro played a round of golf together, inspired an operatic collaboration between Robert Wilson and Anthony Davis (Revolution of Forms, 2006). The same librettist then recently collaborated with Cuban composer Roberto Valera to create a second opera on the same subject that premiered last May during the Havana Biennial [see NY Times here]. As the leading collegiate conservatory in Cuba, ISA graduates are crucial members of every major classical ensemble that participated in this year’s Mozart Festival in Havana. With the encouragement of Che Guevara, three architects began the stylistically diverse project in 1961 and built until 1965, after which work was halted. The arts academy” was upgraded to an “institute” in the 1970s, but building/restoration work began again in 1999. Although I couldn’t find anywhere to buy a shirt with the school’s name (“We know where we go to school…”), the recently updated logos on vehicles and notebooks say “ISA – Universidad de las Artes.” Students almost always come directly from the state professional high schools, as talented Cuban youngsters are tracked into professional academies for sports and the arts as early as age seven. The suburb of Cubanacán is also undergoing a lot of development, and it is home to many medical and research institutes (bio-technology and pharmaceutical) in addition to large conference facilities. 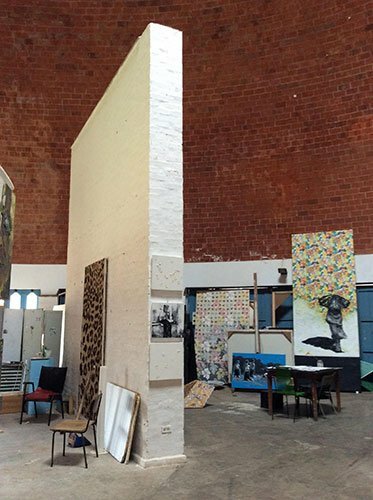 Today roughly 1,500 students pursue four-year programs of study in art, dance, music, theater, and audiovisual media, with the music school (500 students) residing in a repurposed country club. Music teachers from ISA have been instrumental in the design, foundation, and management of the Salzburg Mozarteum’s new downtown Lyceum Mozartiano, and ISA professors appear regularly as concerto soloists. Some music concentrations (like choral conducting) require a fifth year of coursework for the bachelor’s degree, and ensmebles regularly premiere student works and contribute to festivals in Havana (ISA’s Coro de Cámara, under the direction of Grisel Lince, was one of the featured choirs singing Mozart’s Great Mass in C Minor to open this month’s Mozart Festival). A few advanced students conduct ensembles such as the two-year-old student a cappella “spirituals” choir for first- and second-year music majors; this group of 20 boys and 24 girls, conducted by fifth-year choral conducting student Alba Mariet Valdesceso, was rehearsing a beautiful choral song in Spanish accompanied by claves by contemporary Cuban composer Conrado Monier (Mujer Perjura: cancion trovadoresca). ISA accepts both Cuban and foreign students, but the competition for places is intense, as tuition is free and housing is guaranteed. Although graduate degrees in fields such as Law and Medicine can be earned in Cuba, so far there is no doctoral school for Music, and only a few Cuban musicians have earned “Master en Musica” degrees at ISA. Where do Cuban virtuosos go for further study and inspiration? Some professional players and professors at ISA have had the opportunity to study in Europe and at other major Latin American universities, and the Salzburg Mozarteum now provides an additional resource. Medal-winning ISA graduates have been able to take advantage of new scholarships to the Mozarteum, so Cubans such as violinist Braulio Antonio Labañino, violists Anolan González and Gretchen Labrada Izquierdo, cellist Annette Antúnez, and clarinetist Arístides Ariel Porto have traveled to Salzburg for master classes and graduate-level courses. 2013 piano graduate Fidel Leal Camacho auditioned successfully for a place in Wha Kyung Byun’s piano studio at New England Conservatory in Boston last year, and plans to attend (once he can supplement the partial scholarship they offered with funds to cover the remainder of the costs). Leal’s salary at ISA is paid in Cuban pesos, and he gives some private music lessons for a very modest fee, but the continuation of Cuba’s two separate currencies makes saving (local) Pesos for exchange into European (or US) currencies prohibitive. Leal made his debut with the Cuban National Symphony in 2006 playing Mozart’s Piano Concerto in E-flat, KV365, and has won international competitions all over Latin America. His recordings of nineteenth-century music from Cuba’s central city of Camagüey and participation in a 2014 DVD focusing on Mozart’s music have earned him two CUBADISCO awards. You can find almost a dozen examples of his playing on YouTube, and hopefully, we will hear him in Boston soon. But the last year has seen a host of improvements. Hotel lobby pianos (like the old Steinway in the Havana Libre and the Petrof in the Hotel Nacional) and Russian grands at the University and National Symphony are being restored. The Lyceum has received generous donations of two Steinway pianos for their master class rooms (in additional to the several excellent uprights and French baby grands they maintain there). Through the recent (historic) gift of a Steinway grand (by the company!) to the National Symphony and Cuban purchases of Steinway and other concert grands (you can see them in the San Francis of Assisi sanctuary, the Cathedral, the stage of the Teatro Martí, the Oratorio San Felipe Neri), concert life has been recently raised to a much higher standard. The ISA student orchestra has been augmented with select players from the downtown Lyceum Mozartiana in order to create a larger ensemble able to support world-class soloists and perform internationally. During this month’s Mozart festival, they performed in Havana’s Cathedral under the direction of José A. Méndez Padrón [BMInt review here] at the newly restored Oratorio San Felipe Neri with violinist Renaud Capuçon and violist Gérard Caussé (Oct. 18), and in the magnificent Teatro Martí under the direction of Ronald Zollman. This video shows the (November 2014) process of creating and installing the new “acoustic sail” that reflects sound for ISA and lyceum players into the Oratorio concert space [here]. 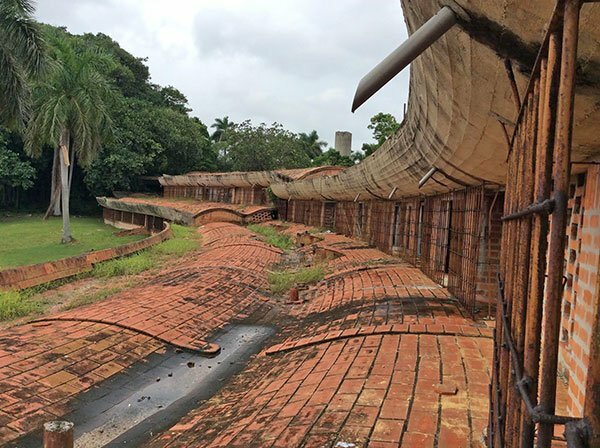 Since ISA’s campus map includes both current buildings and those designated as “ruinas,” we used the extra time we had to explore the parts of the campus that have not been restored, including Vittorio Garatti ‘s abandoned Music buildings and Roberto Gottardi ‘s overgrown Drama center. If funding and enthusiasm were to support it, many of the ruins could be easily improved and revived, fulfilling the architect’s original dreams and serving many more deserving students. 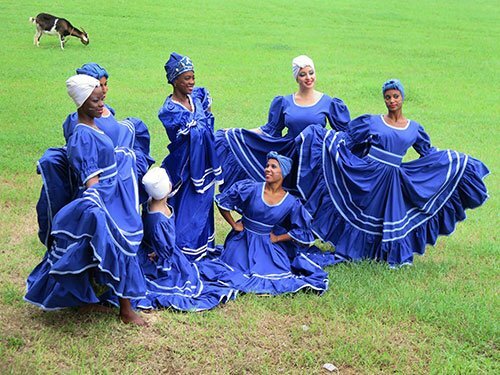 ISA’s Afro-Cuban music and dance ensemble was taking publicity photos near the restored Music/Dance rehearsal room that stands across a green meadow from the Soviet-style concrete high rise thrown up cheaply to house students (and slowly being renovated section-by-section). Cuban Riccardo Porro designed the Facultad de Artes Plásticas (1961) to evoke Catalan domes, and that complex has been fully restored. The Boston Globe ran an obituary honoring his contributions to architecture last year here. This gorgeous maze of open hallways, breezeways, and high-ceilinged, domed studios is built almost entirely of brick and terra cotta tiles, without the massive reinforced concrete walls that dominate American campuses from the same decade. A visitor feels both inside and outside at the same time. ISA’s dance program is the most prestigious in the country, attracting elite students who have gone on to dance with Alicia Alonso’s internationally acclaimed ballet company and the newer Lizt Alfonso Dance Company (now on tour in the U.S. and making its Boston debut this weekend at the Cutler Majestic Theatre) [link here]. The Grupo ISA-DANZA began their 11am performance just outside the entrance to the Music Building. We saw a commedia Harlequin emerge from the crowd and dance expressively to a haunting clarinet solo that enticed us into the central courtyard. We were slowly drawn into a marbled ballroom with eight chandeliers where two groups of dancers, a pianist, and a set of well-placed speakers awaited us. Rather than interpreting Mozart, played live by the ISA orchestra, the performance was shaped by an ingenious work of musique concrète, combining piano passages (including tone clusters and extended technical sound effects) and ambient local sounds (like wind, birds, and ocean waves) with excerpts of Mozart’s music. The first portion of the dance ensemble combined elements of modern dance, mask work, pantomime, and classical movement en pointe with music from The Magic Flute, Eine kleine Nachtmusik, and the Confutatis/Lacrimosa movements from the Requiem. The choreography was in turns comedic and moving, with the dancers shifting their long, pink tutus to a variety of body positions to enhance these transitions. The first half ended with a vivacious finale in which the dancers became orchestral instruments and their players. The second portion of the performance was weightier in tone, with small groups bringing to life short themed vignettes of solidarity, isolation, imprisonment, death, release, and transcendence. Most dancers were barefoot, wearing black costumes, and the somber mood imparted by the audience’s closeness to the performers (we stood immediately next to and around the dancers, filling the room) made us feel like we were partners in the drama. Several organizers thanked the audience and described the preparations for this special collaborative event: Ulises Hernández (professor of piano and director of the Lyceum Mozartiano), and ISA’s Rector exchanged gifts with the Salzburg Mozarteum’s Director and President. Mr. Fernandez beamed, “I could not hope for better partners” and Director Matthias Schulz described the “deep roots” the Mozarteum had established through the dozens of trips between Europe and Cuba to plan the Mozart Festival. Mr. Honsig-Erlenburg praised ISA’s administration for making their students able to present their own work and to perform collaboratively, saying “Here is everything you could want in a conservatory partner,” and inviting more Cuban students to travel to Austria in the future to study at the post-graduate level.